Groceries are expensive. The expense of grocery shopping these days is astronomical. Even the in-store brands are quite pricey. Nowadays, it's depressing to go through the aisle. I have a Spar, Pick n Pay and Shoprite just around my corner. You would think they would have competitive prices but no everyone is just doing their own thing. I’m always interested in trying out so many types of foods and cooking different recipes, but because of the prices, I've had to cut down. There are days when I will try all three stores just to find the right price, only to come back again to the first store. It's exhausting. And what stores are calling specials are, in fact, prices they had like 2-4 weeks back in their store. It's crazy to think that we are paying so much for food. These spikes in food prices are because of a number of issues, including the drought and our plummeting rand. 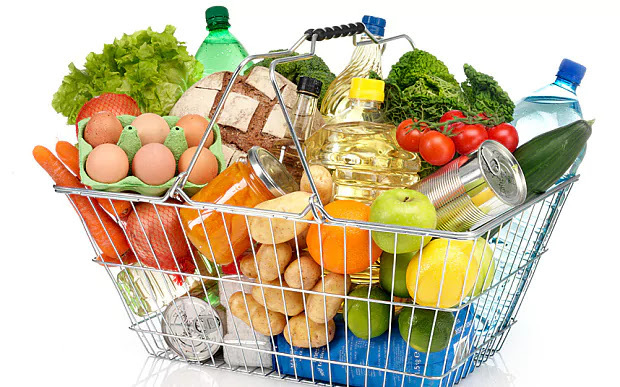 Global food prices were on average 16 percent higher at the beginning of this year compared to last, whilst over the same period, the value of the pound fell around 15 percent. For my sake, I have decided to focus on improving one grocery habit at a time. I have a sweet tooth and this gets in the way of my budget. The other day, I caught myself throwing in three chocolate slabs which were on special and marshmallows. A quick calculation and the amount came to R64. I kept the items in my trolley, thinking about what to do. Then I saw a special of Oreo biscuits. They were going for R14 a pack. I took them and left all those chocolate slabs and marshmallows. I had a good start but I'm going to have to be vigilant. The struggle is real. What I also do is make a list when I go grocery shopping. The mental list doesn't work well for me. I end up going overboard with "new and improved" products on the shelf. I only allow myself one 'new" item per shopping. If there's nothing exciting, I don't add anything. I just keep it moving. In addition to that, I calculate their so-called specials via my phone. Sometimes it's not a special, just two products lumped together. If I use the products all the time, then I take it, but if not, then I live it. I also make sure that I shop once a week. I can't always buy everything in bulk so I have to keep coming back with a list. Bread is what keeps pulling me back to the stores. When I need bread I make sure that I carry cash only. I have also started a herbs and onions garden. It's still early days but I hope my herbs won't die. – Frozen and canned produce can be great alternatives when a particular fruit or vegetable spikes in price. Vegetables are best when bought in the season because they cost less and are at their peak flavour. When not in season, buy frozen or canned. - Know the store's cycle of sales and clearance. From Thursday to Sunday you have a lot of companies having sale day. Your pantry and your ability to not have anything spoil will be a great way to cut costs. - Cheaper store brands do not always save you money. Yes, many of the generic brands have the same ingredients as their higher-priced counterparts; however, the generic brands are not a better value if you end up tossing the food due to taste or quality. For example, I bought this brand of noodles and I was making a big dish. I ended up not being able to finish it and I had to throw it away. And I've already added cheese to it. Remember, the grocery store is not your friend. Don’t let those delicious smells or those impressive displays trick you into buying things that aren’t in your budget or on your grocery list.